With the holiday weekend I have pulled out all of my favorite red, white and blue pieces to wear to show my support of why we celebrate this Memorial Day. I remind my children and myself daily ... freedom isn't free. And especially right now with everything going on, I have to remind myself how blessed we are! I am a huge fan of a fun top and a statement earring, as you can tell by the photo above. 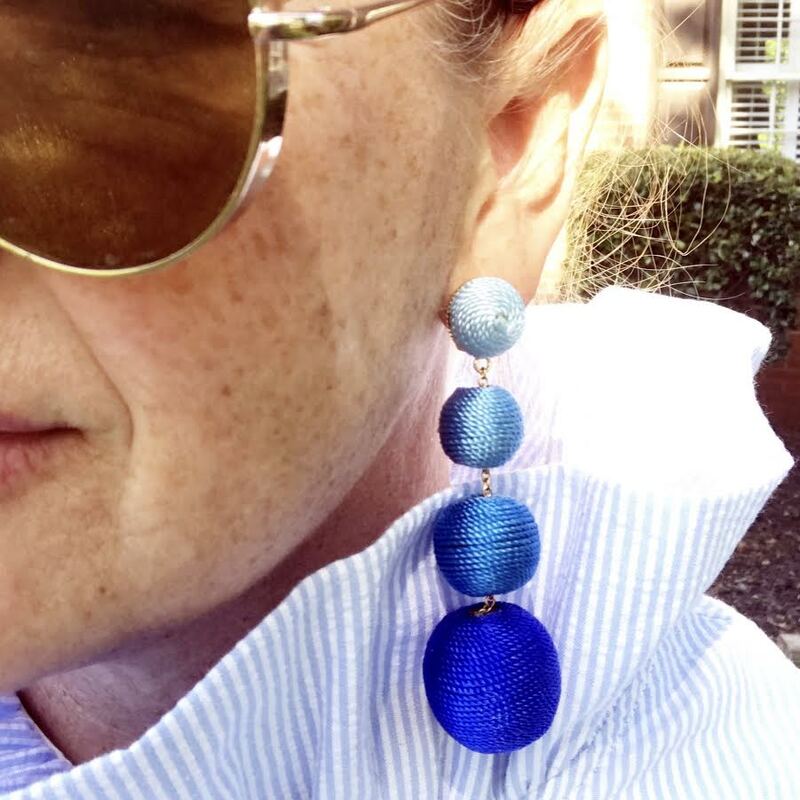 There is something so fun about a good top and earring pairing. I have gathered my favorite tops and earrings for you today. There are some seriously darling shirts in these gatherings!! Hope y'all have a fabulous long weekend! I cannot get to any easy shop nor find elizabeth wilson designs anywhere....am I doing something wrong?